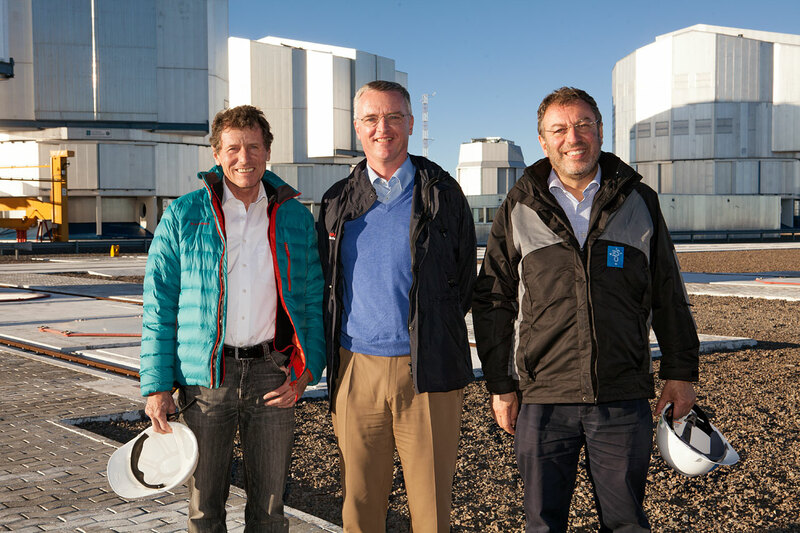 The Federal Minister for Science and Research of Austria, Karlheinz Töchterle and the Portuguese Minister of Education and Science, Nuno Crato, visited ESO’s Paranal Observatory on 15 March 2013, as part of their official visits to Chile. The Ministers and their delegations were hosted by ESO’s Director General, Tim de Zeeuw. Ministers Töchterle and Crato visited the summit of Cerro Paranal where the telescopes are located, at an altitude of 2635 metres. This provided great views of the desert area, the observatory, nearby Cerro Armazones and the Pacific Ocean. The Ministers watched the opening of the telescopes before the start of the night’s observations and enjoyed a spectacular view of the sunset from the platform. Later in the evening both ministers visited the control room and interacted with the astronomers observing with the Very Large Telescope. 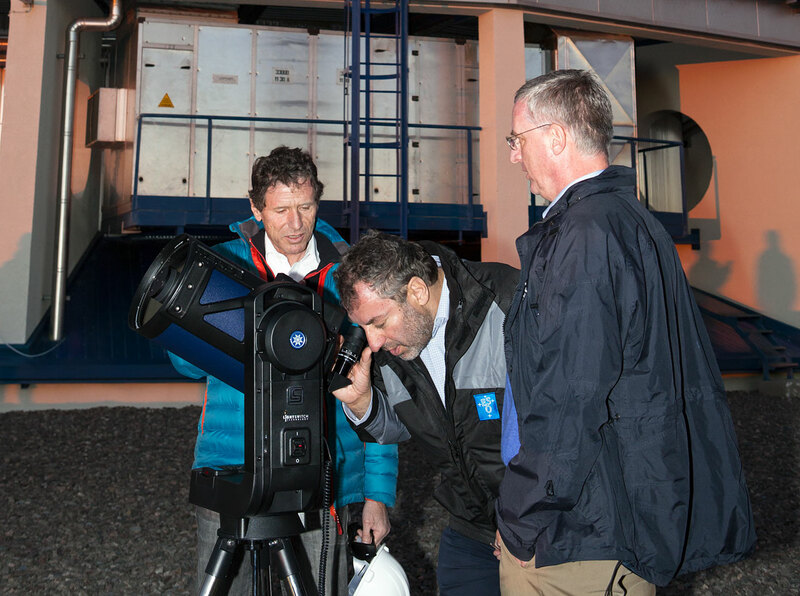 During his visit, Minister Töchterle hiked up the famous Star Track that leads from the award-winning Residencia located at 2400 metres above sea level to the summit of Cerro Paranal. 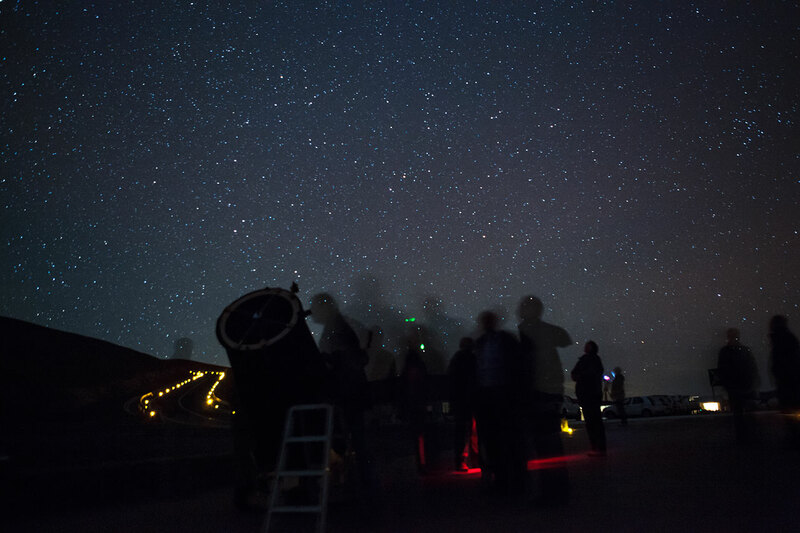 At night, the ministers took part in an informal star party with staff of the observatory, enjoying the view of some objects in the southern night sky through a large amateur telescope. Prior to their visits to Paranal, Ministers Töchterle and Crato had attended the official inauguration of ALMA (see eso1312), the Atacama Large Millimeter/submillimeter Array, a global partnership of ESO, North America and East Asia in cooperation with the Republic of Chile. ALMA is the largest ground-based astronomical observatory in existence.